Einde van een tijdperk, zo mogen we het toch wel noemen. Wegens gezondheidsredenen is Lekkerkerker op de Clinckhoeff ermee gestopt en staat de winkelruimte te huur. 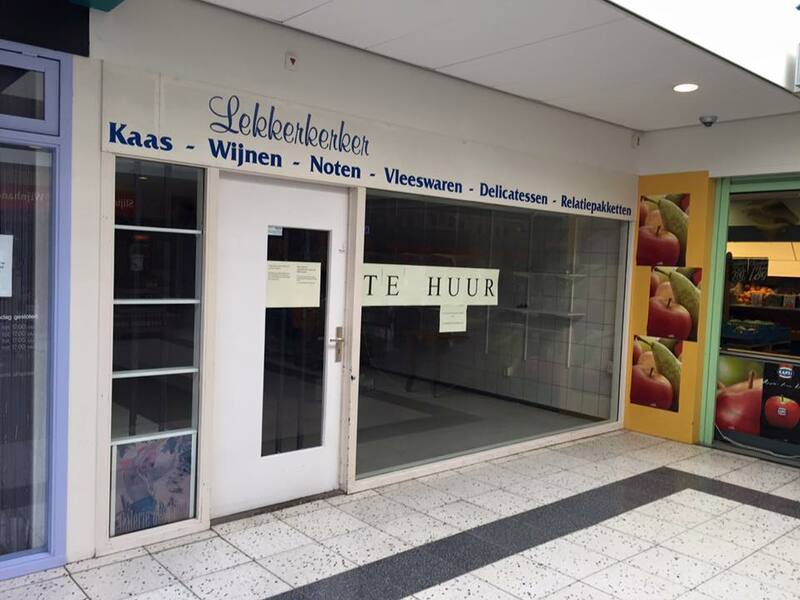 De winkel in Achterveld blijft wel open. Very nice post. I just stumbled upon your weblog and wanted to mention that I have really enjoyed surfing around your weblog posts. After all I’ll be subscribing for your rss feed and I’m hoping you write once more very soon! hello there and thanks in your information – I’ve definitely picked up something new from proper here. I did then again expertise several technical issues the usage of this site, as I experienced to reload the site many occasions prior to I could get it to load properly. I were thinking about if your web host is OK? Now not that I am complaining, but slow loading circumstances instances will sometimes impact your placement in google and could injury your high-quality ranking if ads and ***********|advertising|advertising|advertising and *********** with Adwords. Well I’m including this RSS to my email and can glance out for a lot extra of your respective interesting content. Ensure that you replace this again soon..
Just wish to say your article is as surprising. The clearness for your submit is simply great and i can assume you’re a professional in this subject. Well together with your permission allow me to grasp your RSS feed to keep up to date with forthcoming post. Thank you a million and please continue the enjoyable work. What i do not realize is in reality how you are not really much more well-preferred than you may be now. You are so intelligent. You already know thus considerably in terms of this topic, produced me individually consider it from so many numerous angles. Its like men and women aren’t fascinated until it is one thing to accomplish with Lady gaga! Your own stuffs outstanding. Always maintain it up! F*ckin’ amazing issues here. I’m very glad to peer your post. Thank you so much and i am taking a look ahead to touch you. Will you please drop me a e-mail? Very good blog! Do you have any hints for aspiring writers? I’m planning to start my own blog soon but I’m a little lost on everything. Would you propose starting with a free platform like WordPress or go for a paid option? There are so many options out there that I’m totally overwhelmed .. Any recommendations? Many thanks! Simply desire to say your article is as astounding. The clearness on your submit is simply nice and that i can suppose you’re an expert in this subject. Fine with your permission let me to seize your RSS feed to keep updated with coming near near post. Thanks 1,000,000 and please continue the rewarding work. Wow, awesome weblog format! How lengthy have you been blogging for? you make running a blog look easy. The overall look of your website is fantastic, let alone the content material! What i don’t realize is in reality how you’re now not actually much more well-liked than you might be right now. You’re very intelligent. You understand therefore significantly in terms of this matter, made me for my part consider it from a lot of numerous angles. Its like men and women are not fascinated except it’s something to accomplish with Lady gaga! Your individual stuffs great. At all times care for it up! I was very happy to find this net-site.I wanted to thanks in your time for this glorious learn!! I definitely enjoying each little bit of it and I’ve you bookmarked to check out new stuff you weblog post. Thank you for another great article. Where else could anyone get that type of info in such a perfect way of writing? I’ve a presentation next week, and I am on the look for such information. Most of the things you assert is astonishingly accurate and that makes me ponder why I had not looked at this with this light before. This article truly did switch the light on for me as far as this particular topic goes. But there is one factor I am not necessarily too comfortable with and while I try to reconcile that with the core idea of your position, permit me observe what the rest of the visitors have to say.Nicely done.